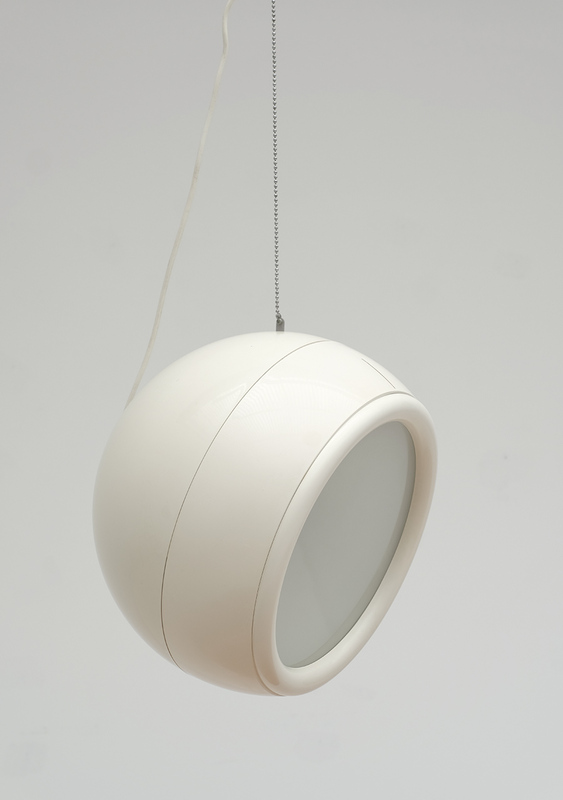 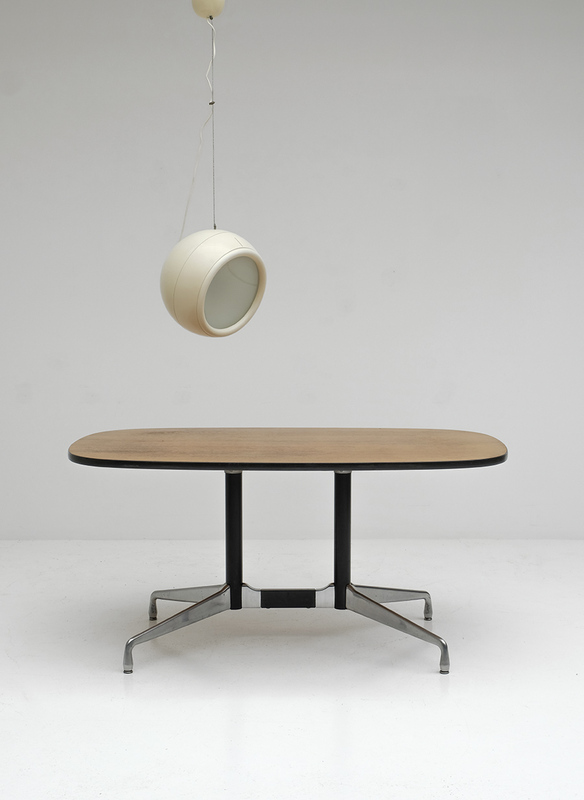 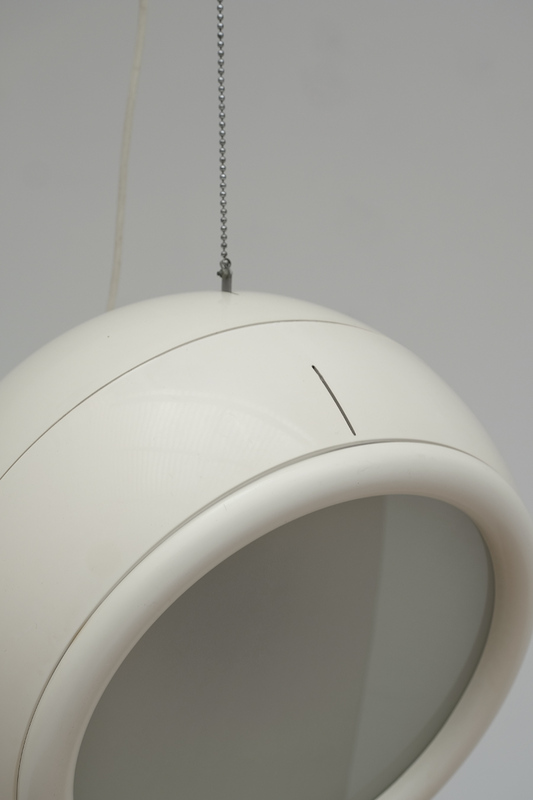 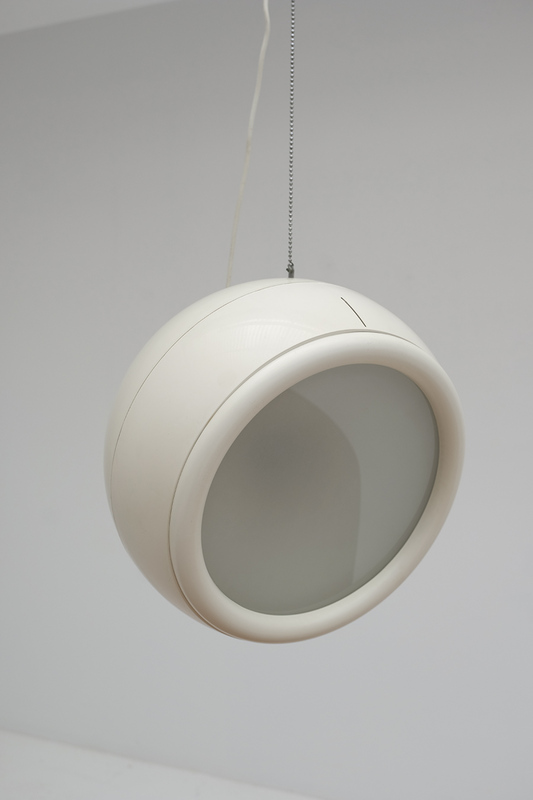 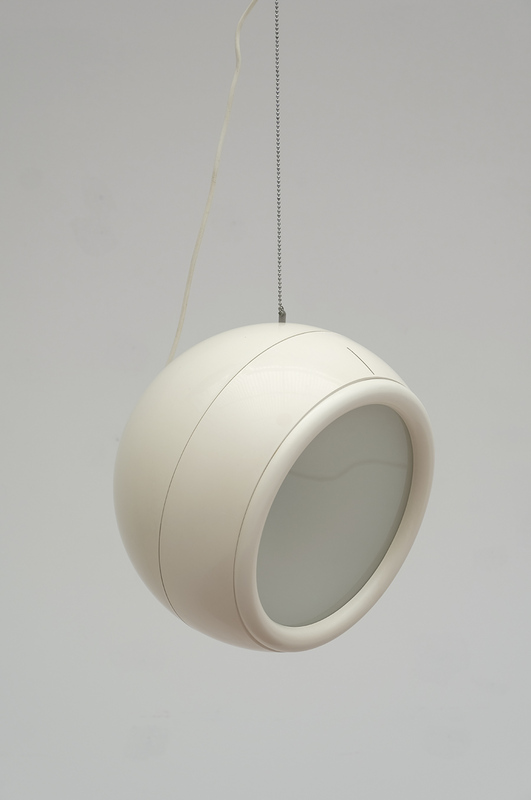 This Pallade model pendant lamp was designed in 1968 by Studio Tetrarch (consisting out designers Adelaide Bonati, Silvio Bonatti, Enrico De Munari, Carla Federspiel) for Artemide. 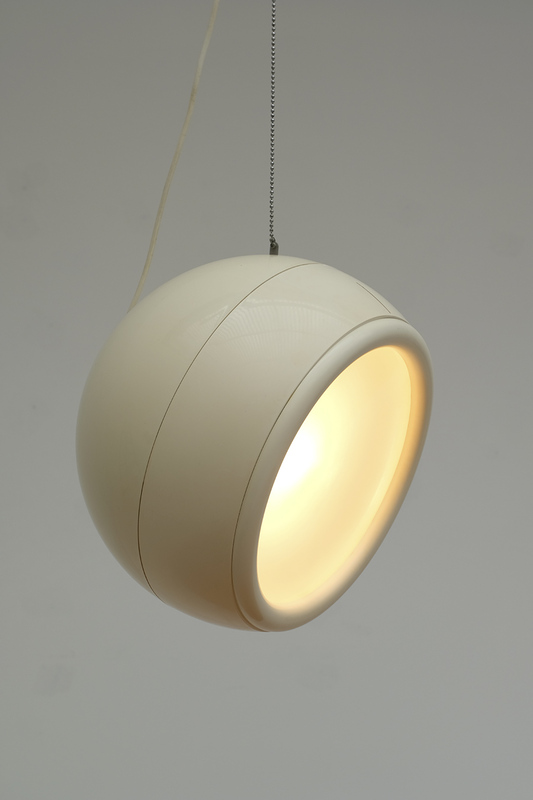 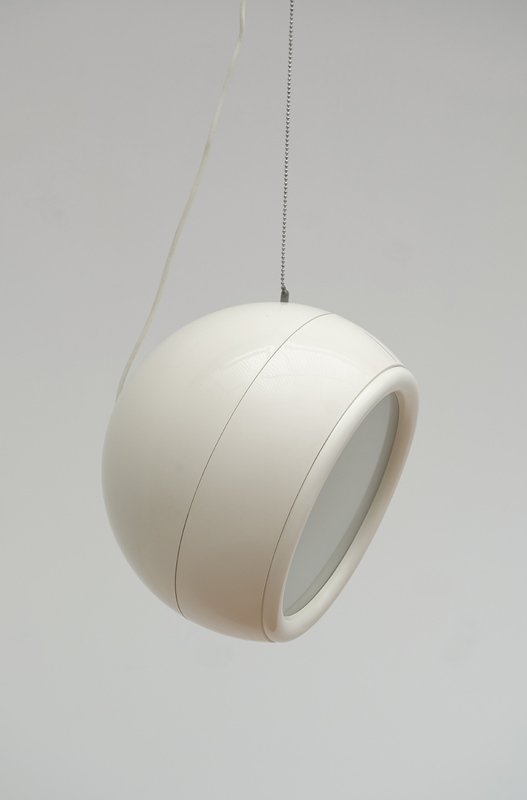 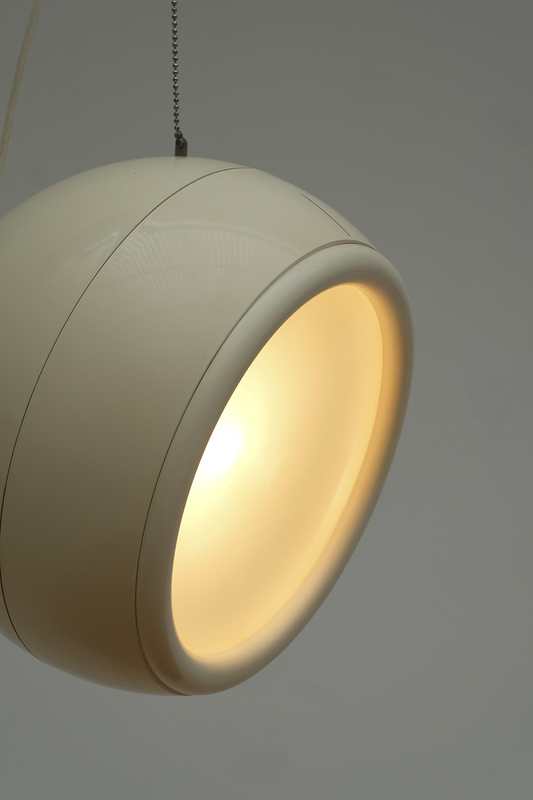 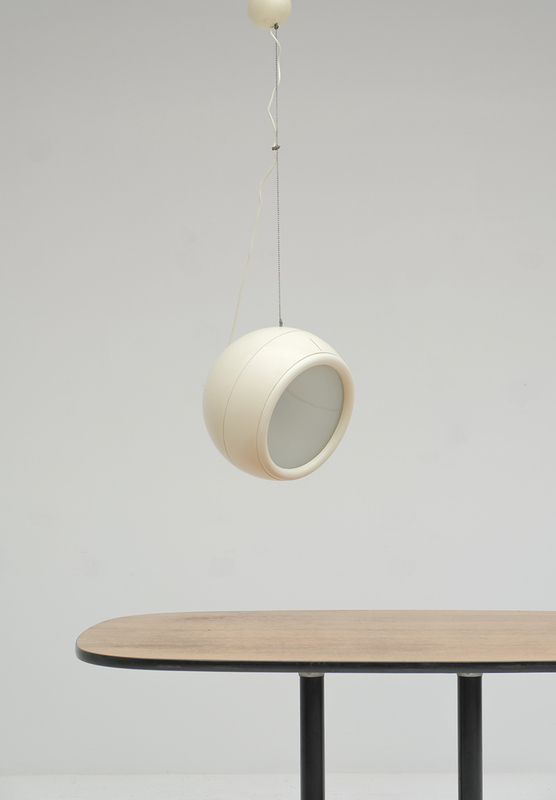 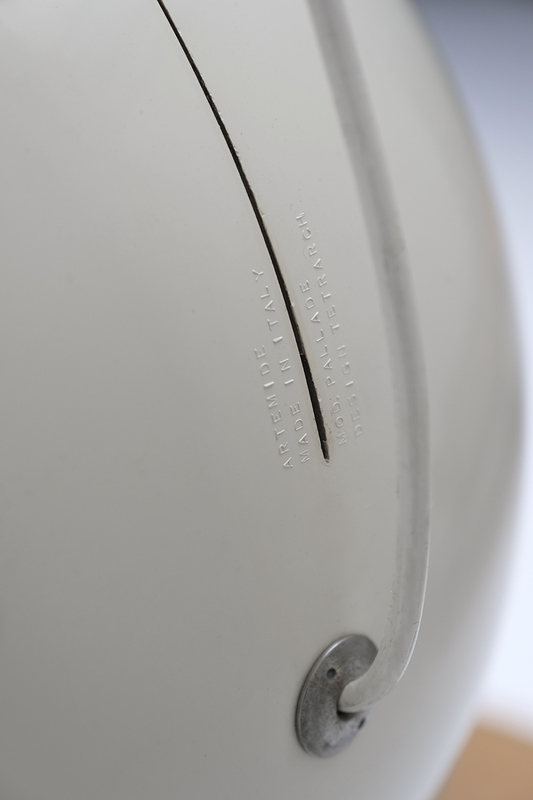 It has a glossy white body made from ABS plastic with a round glass diffusor. 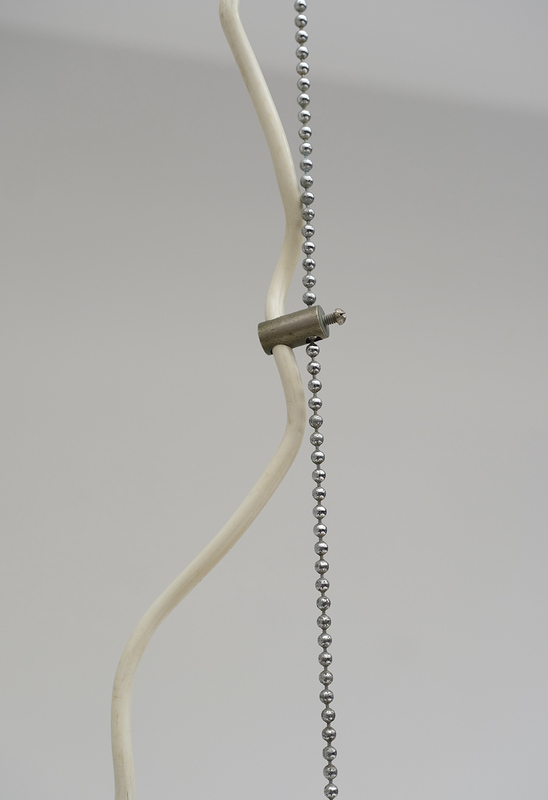 The wire runs next to a metal chain that enables an adjustable tilt. 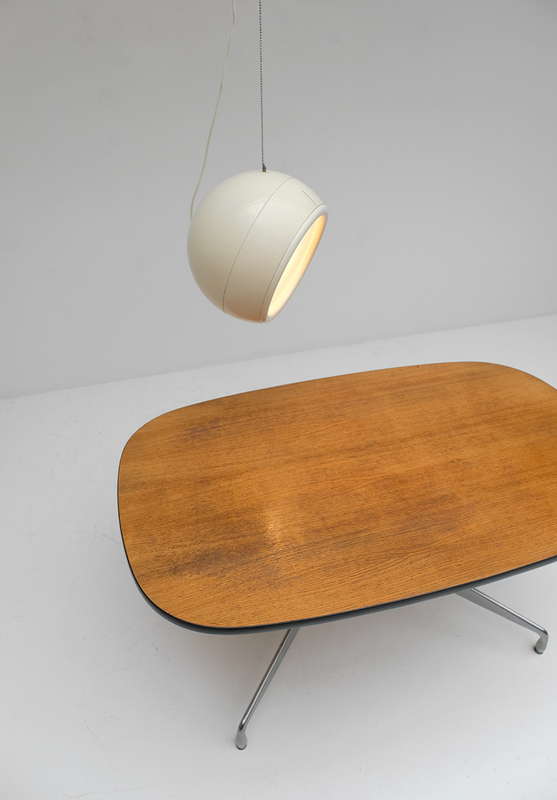 It has one E 27 bulb holder and is in an excellent vintage condition.